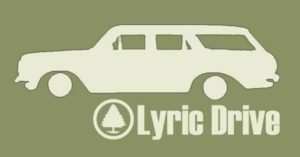 Lyric Drive is an acoustic cover band and plays music from artists like Jamiroquai, Bill Withers, Stevie Wonder, the Beatles, Steely Dan, Grateful Dead and Dispatch. Members are Ted Stewart, Pete Wiedmann and Tim Kelly. Pete, Ted and Tim form a unique trio. What kind of music? Well, it's all over the place, from the 60s through the 90s and some current stuff as well. Pete on bass, Ted on guitar and Tim on cajon drum.